The University of Wisconsin-Stevens Point Continuing Education program will offer “Microbiology for Brewers” Sept. 29 and 30, help 2012. This class is being sponsored by our sister company, O’so Brewing. All of the full-time brewery staff will be attending! It will be held in a fully equipped microbiology lab at UWSP, the course will be taught by associate professor of biology Terese Barta and will include the biological aspects of managing yeast and bacteria in the brewing process. Participants also will learn how to determine yeast populations, how to detect and identify bacterial contaminants and microscopic staining and observation techniques. In addition to being a respected member of the Biology department faculty, Dr. Barta is a accomplished pilot, successful home-brewer, and a search-and-rescue dog trainer. She regularly volunteers for many local charitable organizations and is the current commander of the local Civil Air Patrol squadron. Participants have the opportunity to learn from one of the most engaging and intelligent people they will ever meet. This class promises to be filled with fun and informative brewing science, as well as light humor and great classmates. Register early–before the word gets out. Class size is limited. Get registered TODAY! The course is for established brewers only, as it is not a course on how to brew beer. The course cost of $169 includes all materials. To register, call 800-898-9472, or visit www.uwsp.edu/conted/ConfWrkShp/Pages/BrewingMicrobiology.aspx. T. Barta is a great professor! She knows her stuff and really makes learning fun. Watch out for the quick wit; you’ll miss the witty jokes if you don’t pay attention. You guys forgot to mention that she knows her mushrooms too. Hospitals around the midwest actually call her in the middle of the night when people ate something they shouldn’t have. But, Terese knows which ones you can eat too. That’s so neat! Oh, and it’s Terese, not Teresa. Update: I just spoke with the program coordinator, and the class is already full. Wow, that sure filled up fast. I also hear that there will be quite a cadre of high-class brewers there as well. Fear not though! There is already discussion of offering the program on a regular basis–perhaps even as a series. Any word about another class or a series of classes yet? Next class at UW-Stevens Point is June 8-9. There’s another class in August as well. 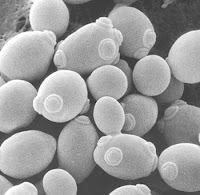 The Microbiology for Brewers class for July 9-10 is full but we are taking restorations for an additional class July 16-17. Plus there is one in November, 2014. Contact Continuing Education and Outreach, UWSP. Or email me at tbarta@uwsp.edu for more info.